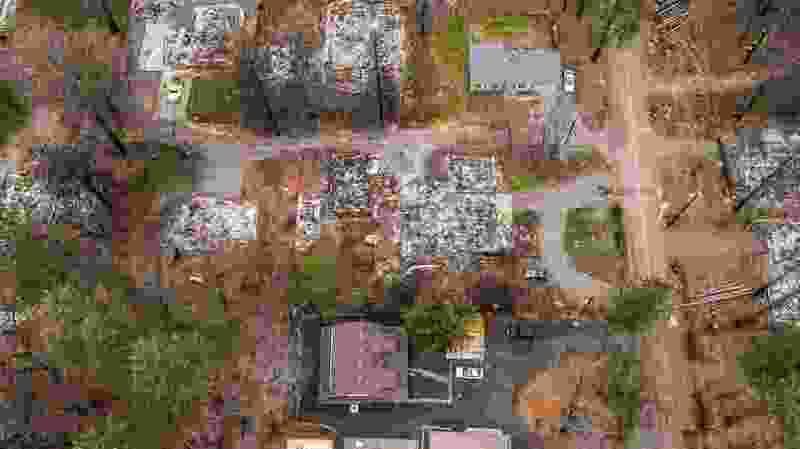 (Hector America | The Sacramento Bee via AP) In this March 19, 2019 photo, an aerial image shows the home of Sean and Dawn Herr, bottom center, in Paradise, Calif. The Herr home, built in 2010 to new fire-resistant building standards, survived the fire while nearby homes burned. Paradise, Calif. • The sky was turning orange and the embers were flying from the Camp Fire when Oney and Donna Carrell and Donna’s father sped away from their Paradise home. What makes a California wildfire the worst? Deaths and size. 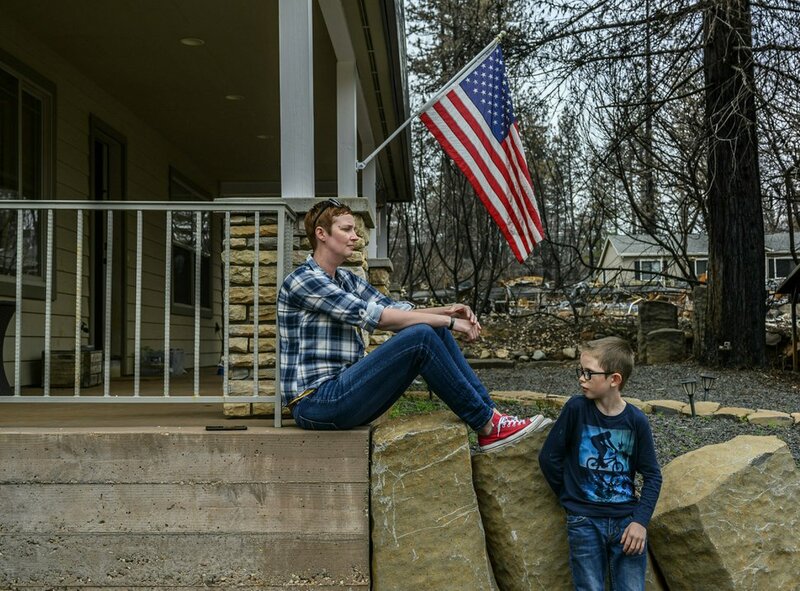 (Hector Amezcua | The Sacramento Bee via AP) In this photo taken March 19, 2019, Dawn Herr and her son Liam, 8, visit their home in Paradise, Calif., that survived the Camp Fire. The Herrs' home, built in 2010, was scorched and had smoke damage inside so the family is living temporarily in nearby Chico. 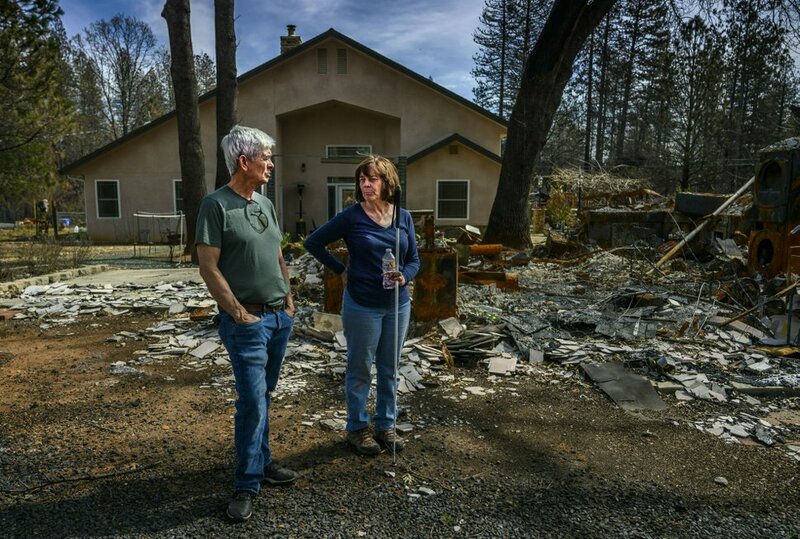 The Herrs credit the home’s survival to strict building codes and to gravel that encircled the building and kept the flames back.